In today’s competitive HE landscape, universities are focusing on the green agenda more than ever. Not only is it a way for them to proactively contribute to a more sustainable and eco-friendly society, but it can also help them to differentiate their offering in comparison to fellow institutions. A key way that universities are looking to make themselves greener is to refurbish their old campuses and facilities in the interest of meeting new sustainability standards – but how are they doing this and what challenges do they face? When it comes to universities considering their strategies for sustainability, there are several pieces of green criteria that they should be adhering to. Lizzie Dodwell is Project Architect for bpr architects, and recently worked with Middlesex University on their new Ritterman building, a five-storey centre for Science and Technology which provides adaptable teaching space that can be reconfigured to suit the University’s changing demands. She comments: “The government has launched legislation which includes a legally binding target for universities to reduce their emissions from 2005 levels by 2020, which is very important to keep in mind. “In addition, BREEAM or Building Research Establishment Environmental Assessment Method is a comprehensive rating system for buildings which covers the areas of management, health and wellbeing, energy, transport, water, materials, waste, land use and ecology, pollution and innovation. Many universities are now working towards this standard, which certifies buildings on a scale ranging from Pass to Outstanding. In addition, Lizzie Dodwell believes a shift in the way that universities teach has been another common sustainability challenge, as it has meant that their facilities need to be able to adapt more readily – something that institutions with older facilities may find particularly difficult. She says: “Building stock should be able to adapt to tech advances – for example Middlesex have a mixture of modular rooms and traditional lecture theatres which offers them a more flexible way to teach. 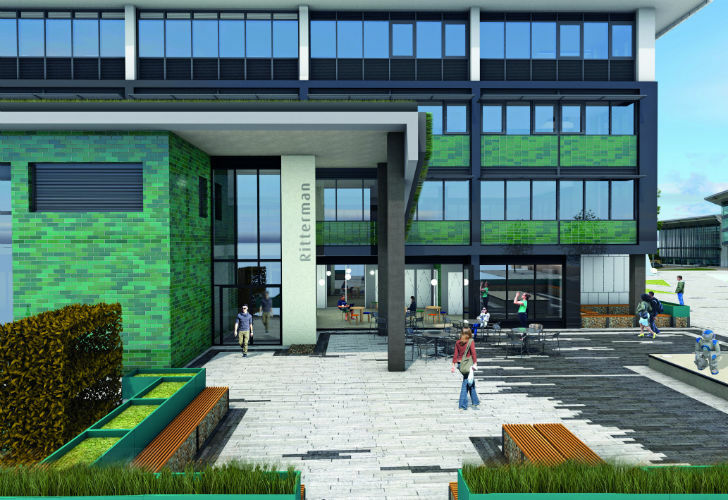 New research from the Environmental Association for Universities and Colleges (EAUC) has firmly dispelled the myth that there is a one-size-fits-all approach when it comes to universities considering ways to make their campuses greener. EAUC commissioned the research paper ‘Next Generation Sustainability Strategy and Structure’, which revealed the current sustainability landscape in tertiary education and provided some much-needed suggestions for those without sustainability practices in place. The research looked at 18 universities and colleges from the UK and five international institutes. Speaking of the research, Iain Patton, CEO at the EAUC, says: “Eventually we want all universities and colleges to ingrain sustainability in their ethos as an example of â€›just good business’. But, for this to come about, we must first dispel the myth that there is a one-size-fits-all approach. Neil Gething goes on to add: “Universities have been quick off the mark to improve the carbon footprint and energy efficiency of their estates and most of the easy wins – to reduce energy operating costs – have now been completed. Axiomatic Technology is a supplier of space audit solutions. In October 2011, the University of Technology in Sydney (UTS) approached Axiomatic Technology’s Australian distributors TPS with a proposal to use people-counters to automate reports of space utilisation and room usage in the university. 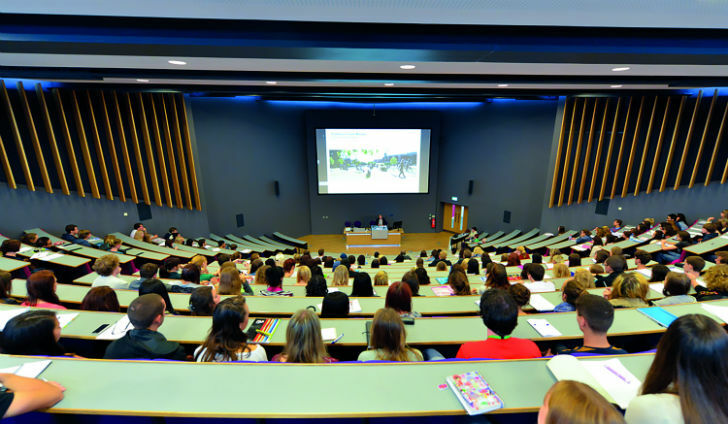 The central idea was to use ceiling-mounted thermal imaging automatic people-counters to count people coming in and out of rooms, from small meeting rooms, right through to multi-entrance 300-seater lecture theatres. The software would monitor the number of people present in each room for each 30-minute period, and then compare that with the timetable. At an early stage, the university inquired if it would be possible to control the air conditioning so that it was only switched on for booked periods when people were present in the room in the view of saving a significant portion of the millions of dollars that UTS spend each year in electricity. A trial was set up using some dedicated hardware to give a run/stop demand signal to the HVAC controllers as proof of concept. This trial was very successful, and proved that there were indeed significant savings to be made. UTS have found that the Space Management system has made a real difference across their campuses. By automatically turning off the air-conditioning when the room is not occupied they have reduced energy costs and greatly reduced their greenhouse gas emissions and carbon footprint 365 days of the year. 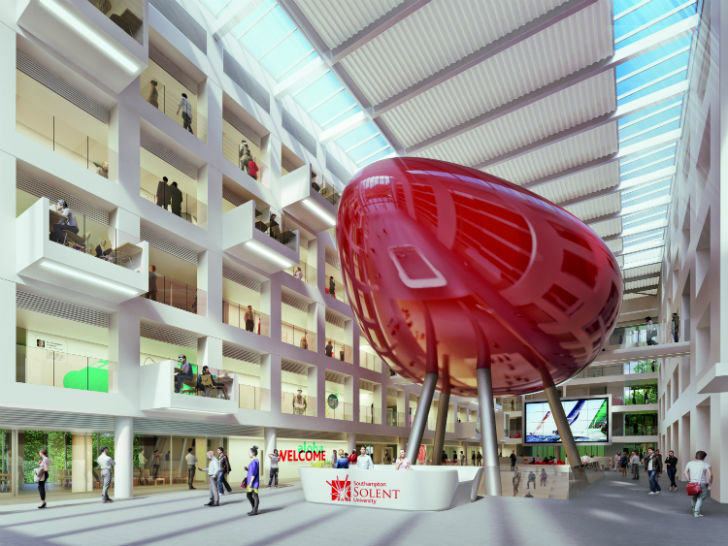 Southampton Solent University has been an active member of EUAC since 2006, achieving an EcoCampus Gold award in October 2016 and it is also currently working towards ISO14001 accreditation too. The University moved into The Spark, its new £33m teaching and learning building in May 2016, which incorporates a range of low-carbon features and is designed to achieve a BREEAM Excellent rating. It has also been investing heavily in the refurbishment of existing buildings, incorporating upgrades that offer cost-effective, energy-saving, carbon reduction measures. 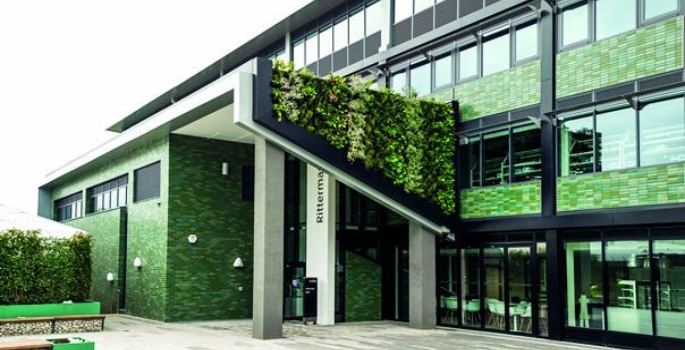 It has taken a multi-faceted approach to carbon reduction, incorporating a range of carbon reduction technologies and engaging students and staff at all levels. In regards to waste, Solent negotiated a waste contract in partnership with several other universities in the region, which year-on-year has seen increased recycling levels and largely eliminated waste to landfill. Implementing a simplified waste bin system in many buildings has greatly reduced contamination of recyclables by food; consequently, most waste can now either be recycled or sent for anaerobic digestion. The University is also committed to maintaining and enhancing the biodiversity of its estate, recently working with the Hampshire and Isle of Wight Wildlife Trust to produce biodiversity audits of the East Park Terrace and Warsash campuses. Habitats and species were assessed and the resulting Biodiversity Action Plan provides recommendations on how the biodiversity value of University grounds may be improved. Speaking of the University’s ongoing green initiatives, Paul Legon, Head of Projects and Estate Development, says: “Moving forward, developments at East Park Terrace are providing further opportunities to achieve lower carbon emissions, by incorporating best sustainable practices in design and construction.